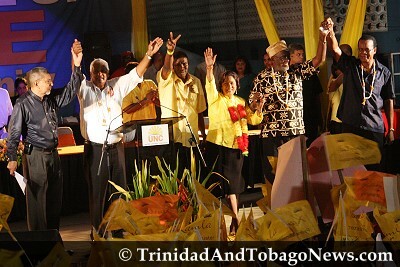 Published on May 22, 2012 in General T&T, Labour, MSJ, People's Partnership and Politics. 4 Comments Tags: David Abdulah, MSJ, Politics, T&T Govt. THE “stand Strong” headline theme of the advertising for the People’s Partnership’s anniversary event on Thursday, must attract serious interrogation for its validity. The believability of print ads pushing that theme, appearing on Thursday, was immediately called into question by the leader of the Movement for Social Justice (MSJ), a member of the ruling coalition. Published on March 13, 2012 in COP, General T&T, Labour, NJAC, People's Partnership, Politics, Protest, TOP and USA. 3 Comments Tags: Ancel Roget, David Abdulah, Errol McLeod, MSJ, Politics, T&T Govt. IT was in our view an amazing sight last Sunday to see ultimatums being issued to the People’s Partnership (PP) Government by one of the PP’s five member groups, the Movement for Social Justice (MSJ).